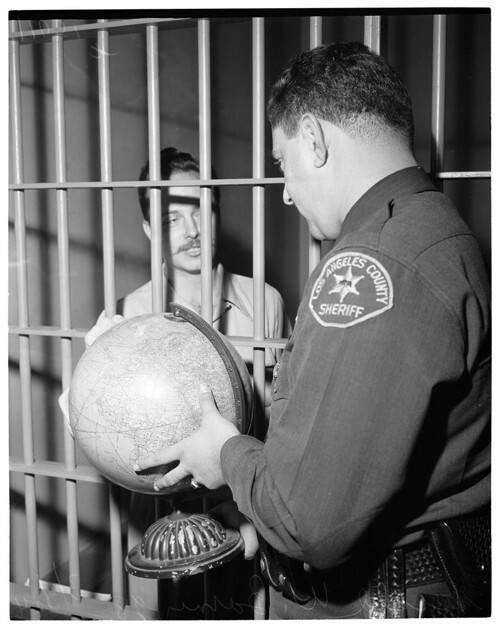 In February 1954, Gerald Wayne Barnes, a 26-year-old dishwasher, was arrested and charged with forging his employer's name on checks. Barnes offered an unusual defense. 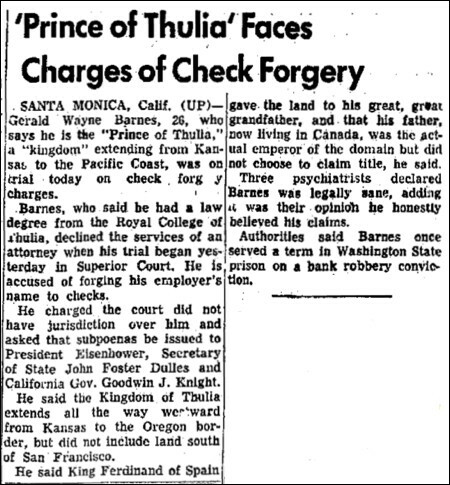 He didn't deny the crime, but he insisted that the Santa Monica superior court had no jurisdiction over him because he was the Crown Prince Regent of Thulia — a vast kingdom stretching from Kansas to the Oregon Coast (but not including land south of San Francisco). Barnes claimed that this kingdom had been given to his great, great grandfather by King Ferdinand of Spain. His father, currently living in Canada, was the reigning emperor, but chose not to claim the title. As royalty, Barnes believed that he could not be tried by the court. He demanded that subpoenas be issued instead to President Eisenhower, Secretary of State John Foster Dulles and California Gov. Goodwin J. Knight. Unfortunately his arguments didn't sway the court, which held him in jail during the trial because, despite his large land holdings, he couldn't make bail. Three psychiatrists were brought in to evaluate Barnes. They concluded that he actually believed himself to be the Crown Prince Regent of Thulia. But they nevertheless declared him to be legally sane and fit to stand trial. Presumably Barnes was found guilty. However, I haven't been able to find any record of what became of him later in life. 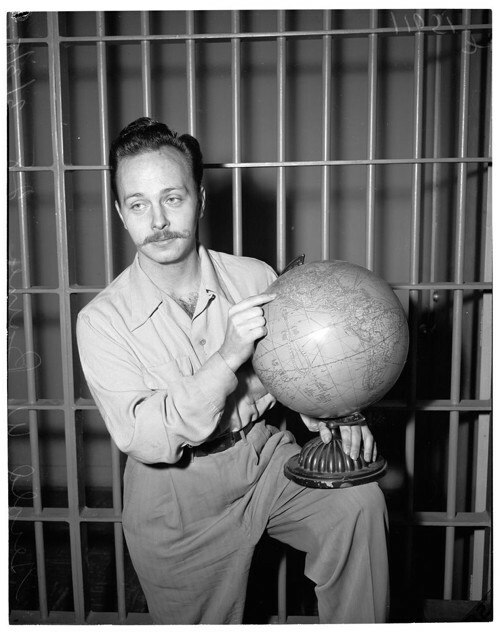 Newspaper accounts of his 1954 trial mention that he had earlier served a term in Washington State prison on a bank robbery conviction, and a search of news archives reveals that this previous crime was also somewhat unusual and made headlines. As a 16-year-old boy in Tacoma, Washington, he had held up a bank with a toy pistol. Barnes had grabbed a five-year-old child outside the bank, marched in holding the toy pistol to the boy's head, and handed the teller a note that read, "hand over the money or I'll shoot both you and the kid — he doesn't belong to me." The teller had given him $5,050. Barnes then released the boy and fled, but he was later picked up at his parents' house by police.